TARPAULIN FABRICS, (TRULY WORLD CLASS), USING 100% PURE VIRGIN RAWMATERIALS. AROUND 4 - 5 YEARS , WHICH IS OUR CORE STRENGTH AND UNIQUNESS. 5. 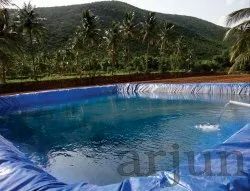 WATER STORAGE PONDLINERS FOR AGRICULTURE. 6. LARGE SIZED PONDLINERS FOR WATER STORAGE IN ESTATES AND AGRI FARMS. 7. SHRIMP/AQUA CULTURE READYMADE FISH PONDLINERS. 16. GENERAL YARD COVERS TO PROTECT AGRI GOODS FROM RAIN AND SUN. 19. ROLLABLE / FLEXIBLE PVC/HDPE HOSES. 20. GENERAL COVERS FOR TRUCKS . 22. RICE MILL YARD COVERS. 25. FLOOR COVERS FOR MOSQUES. 26. YOGA CAMP FLOOR COVERS. 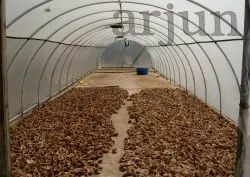 Our Mission is to Manufacture and Supply World class Grow Bags, Organic Manure, Vermicompost and the Natural/Traditional Seeds so that all families can grow and eat Vegetables and greens of their choice , at their backyard, Balconies and their Terraces.We give the required materials as a single Kit so it would be easy for "Farming At Home"... Arjuns organic Farming.. for HEALTH AND HAPPINESS...What we have and what we are inbuilt with: Integrity, Honesty, Highest Moral and Ethical Standards in Business, Clarity, Commitment, Innovative Attitude, Zeal & Enthusiasm , Never ending Urge to keep our Products and services Upgraded/Updated, to the Current realities, Strong Intention of Adapting to New & Latest Technologies..What we aim at: To keep Succeeding by Surpassing our own Standards set , and to become a Global Leader , by offering Excellent Products and Services with Professional Excellence.